In June of 1989 Paul McLeod, a newspaper publisher and recent widower, travels to Greece, where he falls for a young American artist and reflects on the complicated truth about his marriage. . ..Six years later, again in June, Paul's death draws his three grown sons and their families back to their ancestral home. Fenno, the eldest, a wry, introspective gay man, narrates the events of this unforeseen reunion. Far from his straitlaced expatriate life as a bookseller in Greenwich Village, Fenno is stunned by a series of revelations that threaten his carefully crafted defenses. . .. Four years farther on, in yet another June, a chance meeting on the Long Island shore brings Fenno together with Fern Olitsky, the artist who once captivated his father. Now pregnant, Fern must weigh her guilt about the past against her wishes for the future and decide what family means to her. 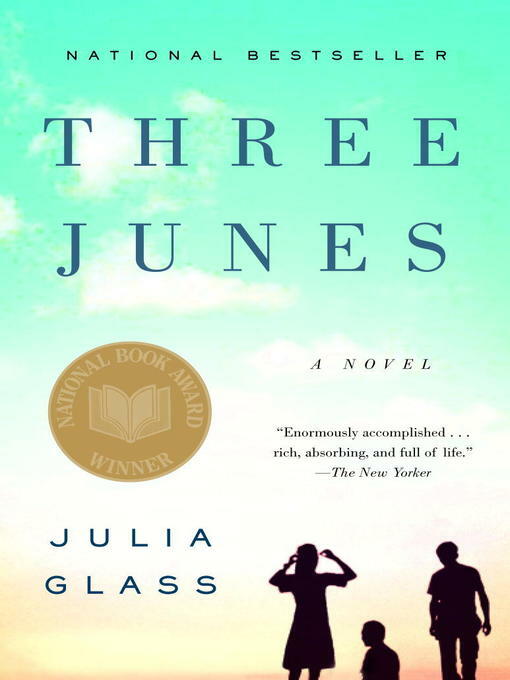 In prose rich with compassion and wit, Three Junes paints a haunting portrait of love's redemptive powers.